A native of Riverton, Wyoming, Dr. Bang graduated from Brigham Young University in 1994 and then from the Des Moines University College of Osteopathic Medicine in 1998. Coming from the medical field, he is well aware of the risks he takes every time he enters the cage. 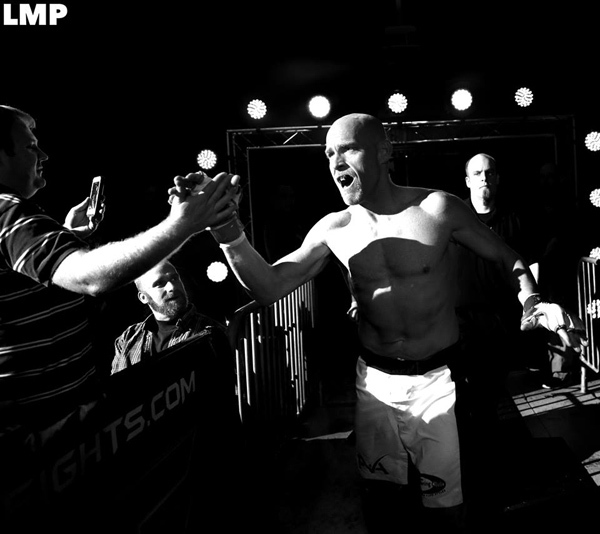 Dr. Bang’s opponent, at “NEF 24,” Stacy Lupo, while making his debut in the MMA cage, is a longtime veteran of combat sports. Lupo currently trains out of the Shatterproof Combat Club in Dexter, Maine, but he has been a martial artist for an amazing 32 years. He holds black belts in both Taekwondo and Shotokan karate. He was an accomplished wrestler in high school, placing in states his senior year. For more than a decade, Lupo ran his own martial arts academy before closing shop to concentrate on raising his family. In the 1980s and 1990s, Lupo competed in amateur boxing and kickboxing. His last kickboxing bout saw him win a unanimous decision over Don Labbe in the main event of a 1995 card in Lewiston.